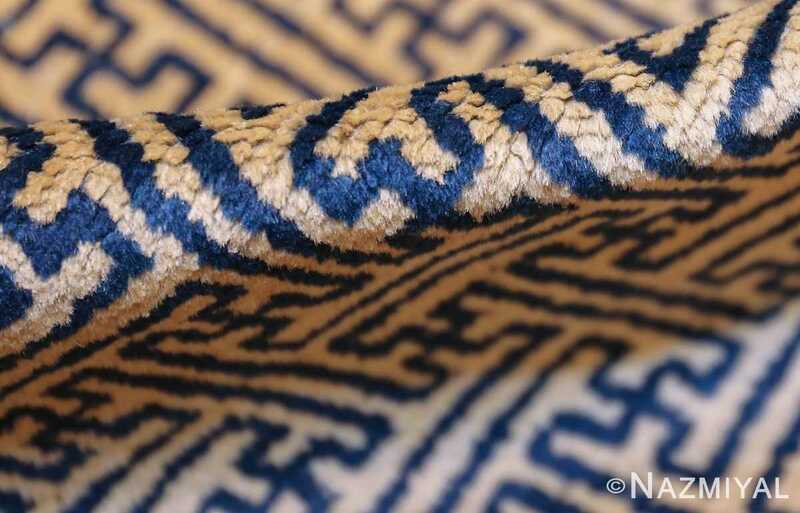 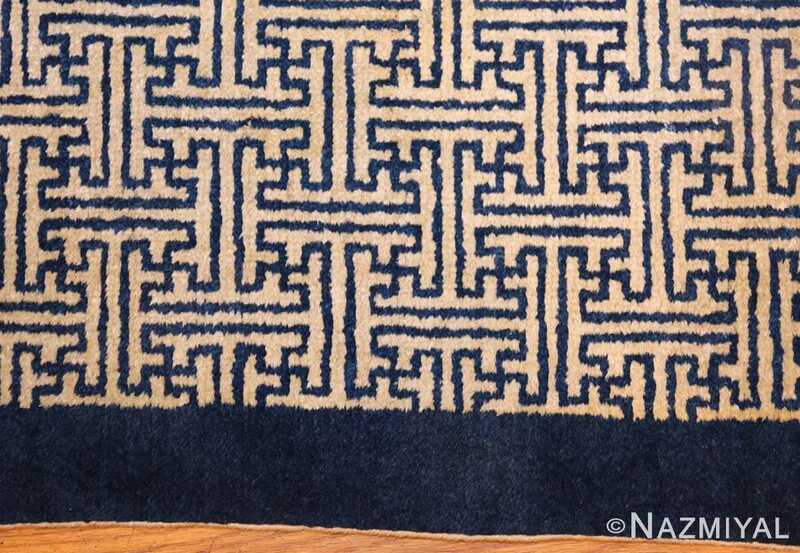 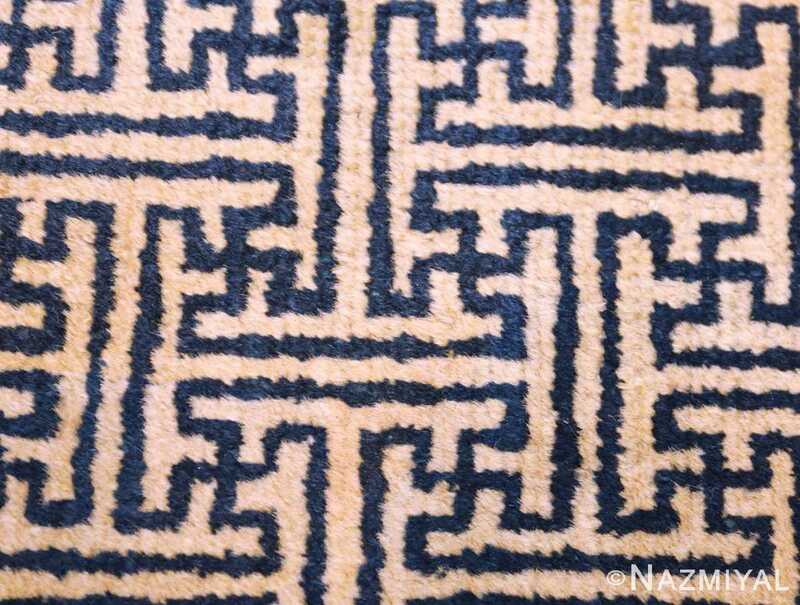 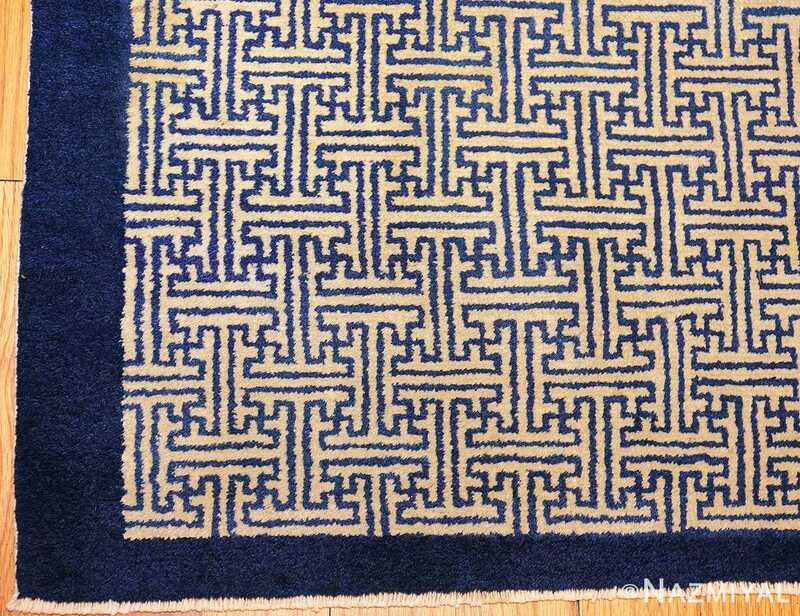 In both of these carpets, a simple unadorned band of blue serves as the border, while the entire field consists of ivory crossed over with a complex pattern of tessellating shapes. 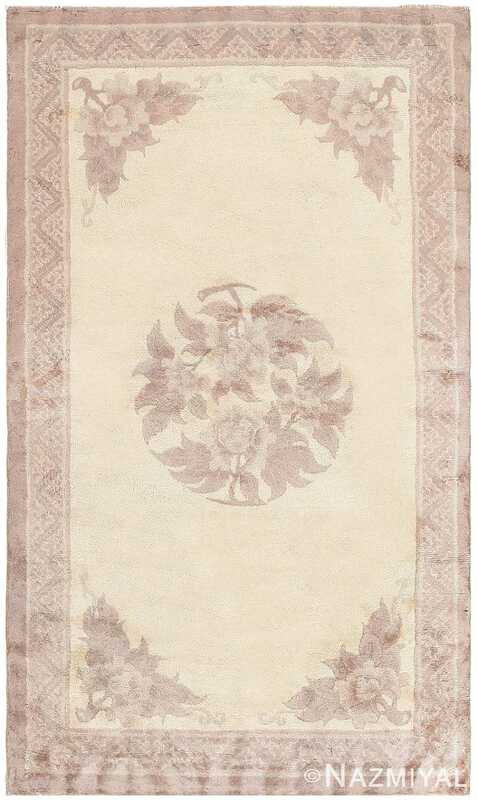 Small Pair Of Antique Chinese Rugs, Country Of Origin: China, Circa Date: Turn of the Twentieth Century - Here are a pair of intriguing antique Oriental rugs - a pair of antique Chinese rugs that were woven in that country around the turn of the twentieth century. 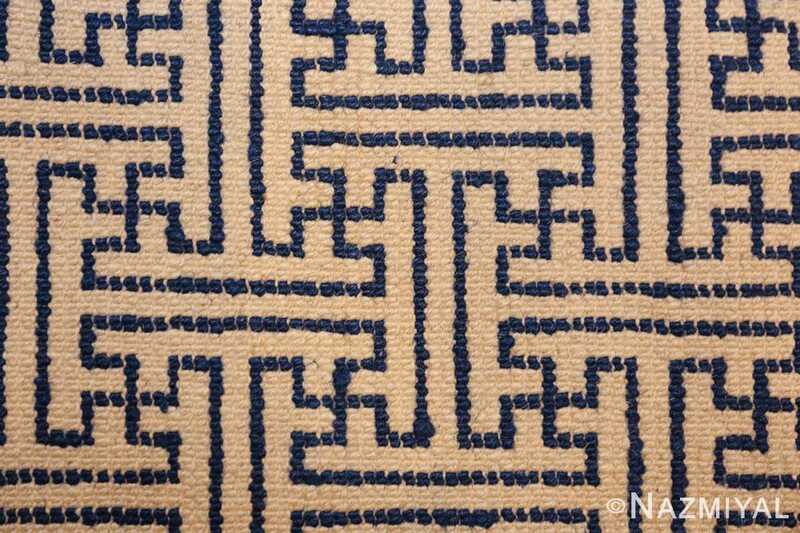 While there is no one quality that unifies the vast body of antique Chinese rugs and carpets, there are certain things that appear more frequently than others. 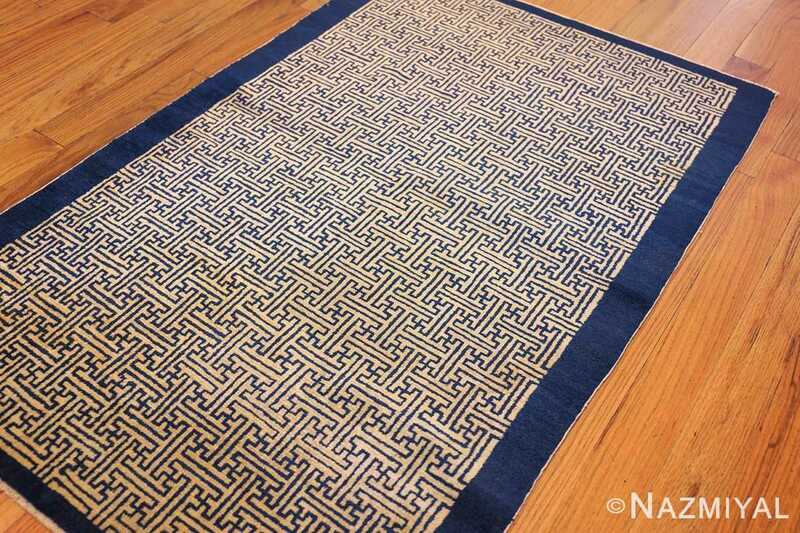 For instance, the pallet expressed in each of this comely antique carpets is quintessentially Chinese; the pairing of blue and ivory is a favorite among Chinese rug designers, and appears in Chinese carpets of many types. 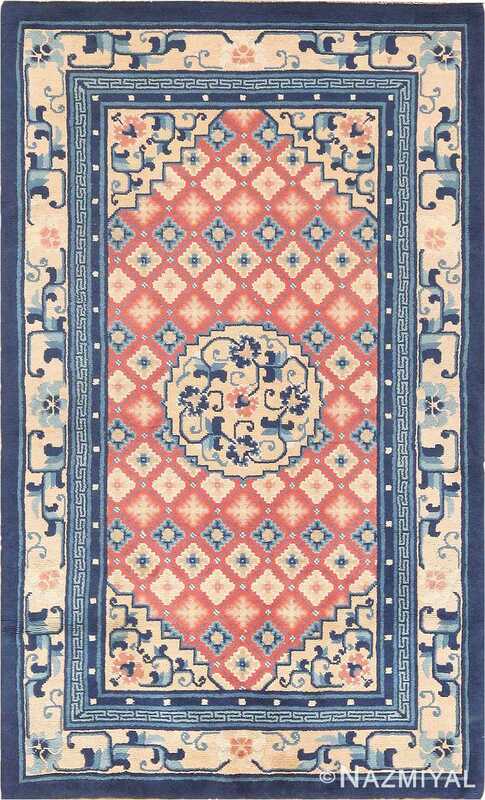 These carpets, for instance, occupy a certain style of Chinese rug design that falls between the more ornate and richly decorated examples and the more minimalist, straightforward examples. In both of these carpets, a simple unadorned band of blue serves as the border, while the entire field consists of ivory crossed over with a complex pattern of tessellating shapes. 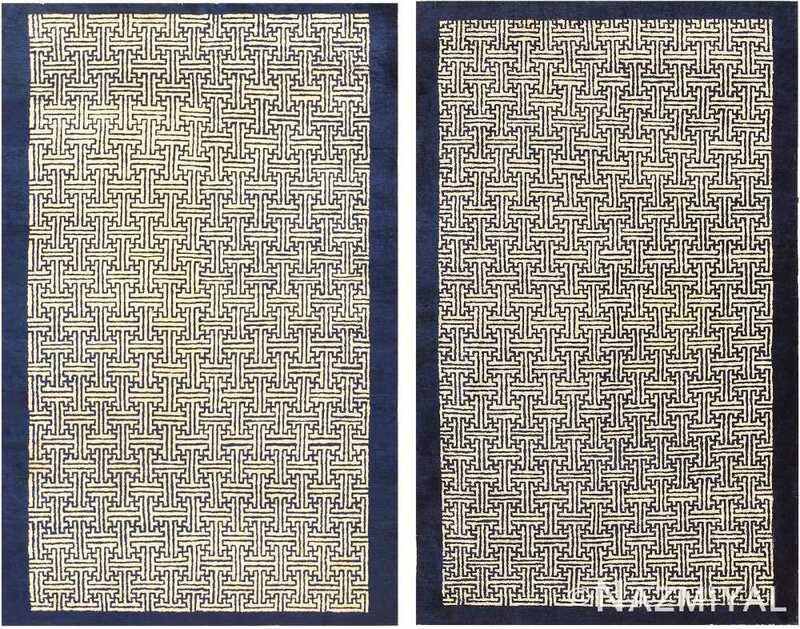 A highly decorative pair of carpets, these antique rugs from China are intriguing examples of an important school of rug weaving.